Fate Extella Review, The Brand New Action RPG! Hello guys, in this morning I want to share you Fate Extella review game. We sure some of you ever hear this name or play this one before. Actually, this game has a connection with Fate Extra series. Yup, because the story is a continuation from the previous installment. We sure you can’t understand because of Fate Extra CCC only available on the Japanese version. Actually, I don’t really understand it too. So, it will be hard to understand the plot of the story? The answer is no if you ever play the first game, you will know it a little bit. Because the very first game in English subtitle. Without further ado, see the review Fate Extella below. So, it’s the game good or bad? It depends on you actually. If your fans of Fate series this game is superb. If you don’t, the game is worth your time. The story is the continuation from the previous one. So, you already won the Holy Grail and right know you as the champion. Of course, there are many characters that you can choose to play with. The gameplay is similar to Dynasty Warriors, yup its hack and slash. If you like that kind of genre, this is your game guys. The action of each character is really amazing to see. The graphics are quite good, especially, the PlayStation 4 version. You will like it very much. Your task usually to take each sector and claim it to become your own. So, you and your opponent will capture each other’s base camp. You can also, use the Noble Phantasm. But, in order to active it, you need to collect Noble Phantasm pieces that flying around on the stage. As for me, the game is really good. There are many characters to choose, you will find Arthuria Pendragon as secret characters from Fate series. Of course, you need to meet all the requirements to unlock her. Fate Extella Review Game, Is it Worth Your time? The answer is yes. My 62 hours is really refreshing, it all thanks to this game. After you finished each story chapter, you will still face many missions that you must complete. My favorite characters are Arturia Pendragon. Because with her Noble Phantasm, Excalibur, it will burn all enemy into ashes. Of course, all of you aware of her tremendous power. If you ask me, I will recommend this one for you. It’s really worth your time. You won’t waste any single time in this game. Oh yeah, this one only available on PlayStation 4 and Vita. But, I recommend with go with PS 4 version. Not only you will have the bigger screen, the graphics also really great to see. So, what do you think about Fate Extella review? Do you want to get the game? If so, I’m really happy actually. Yup, I have a friend that have the same hobby like me. 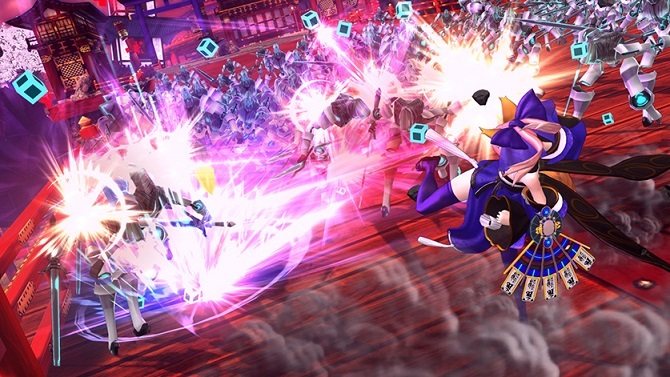 We sure you already know what you must do after read about Fate Extella gameplay. Okay, guys, I think it’s enough for today. Hopefully, my article today is helpful for you. Don’t forget to leave comments below. See you next time and god bless you all. Fate Stay Night Unlimited Blade Works Anime, Why Should You Watch It?